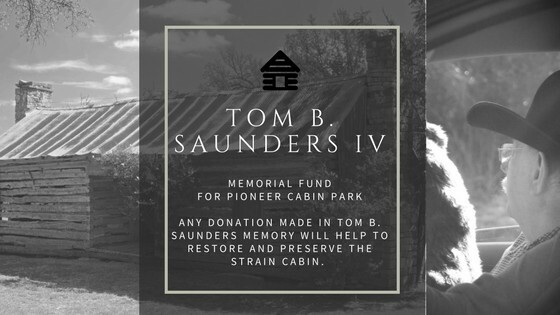 All memorial donation for Tom B. Saunders will go directly to the restoration and preservation of the Strain Cabin. Tom B. and Ann Saunders worked to save this cabin and donate it to Pioneer Cabin Park. In January 2018 Tom B. was able to watch this cabin be moved into the park. The Doss cannot say enough about the work Tom B. did to make this project a reality. 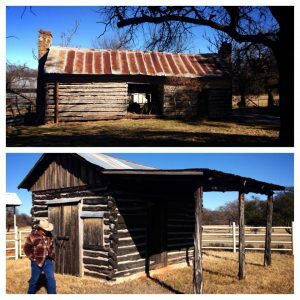 From meetings about land to looking at cabins all over Parker County to talking about logs and chimneys and chinking. His was an integral part of getting the first two cabins here and the third cabin on the way! Tom B.’s memory will live on in these cabins telling the history of Parker County for generations to come. To Make a donation to Pioneer Cabin Park in Memory of Tom B. Saunders Click Here.